Orning, who this academic year is leading the CAS Oslo research project 'The Nordic 'Civil Wars' in the High Middle Ages in a Comparative Perspective,' appeared on Ekko on 7 October 2017 along with author Solveig Aareskjold. Her new book, Astridene: Kvinnene kring Olav Tryggvason, explores the stories of three women -- all named Astrid -- and their impact on the titular Norwegian king. On this episode of Ekko, Aareskjold argues that the field of medieval history has rendered women 'invisible,' as historians have traditionally been more interested in researching kings and warriors -- in other words, men. Orning agrees -- at least in part. 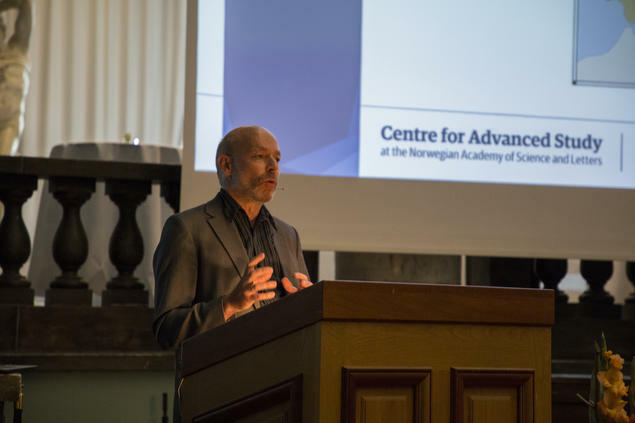 Historians looking at how modern Norway emerged from the Middle Ages have focused on kings, wars, and societal structures, he says, which in that time included many men. But new scholarly perspectives on medieval history -- anthropological and postmodernist, for example -- have helped unearth stories about the women of the Middle Ages, he says. The full episode of Ekko, in Norwegian, is available here. Ekko Helg 07.10.2017: Har historikerne glemt kvinnene?